At Anacleta Designs, we create our timeless chic handbags and accessories from the ground up. We study and research the needs and styles of the ever-changing fashion industry to meet those needs. From sketching to pattern making, and sewing up prototypes, we check quality from the inside out to make sure we use the right components for durability and functionality of each bag. OUR DISTINCTIVE LINE OF HANDBAGS AND ACCESSORIES IS OF A SUPERIOR QUALITY, STYLISH, FUNCTIONAL, UNIQUE - AND MADE IN AMERICA. ONLINE STORE COMING SOON. Anacleta, also known as Elit, was born and raised in the Philippines; the fourth child of eight. Elit has always had a passion for designing- she made her own outfits out of rice sacks in third grade! 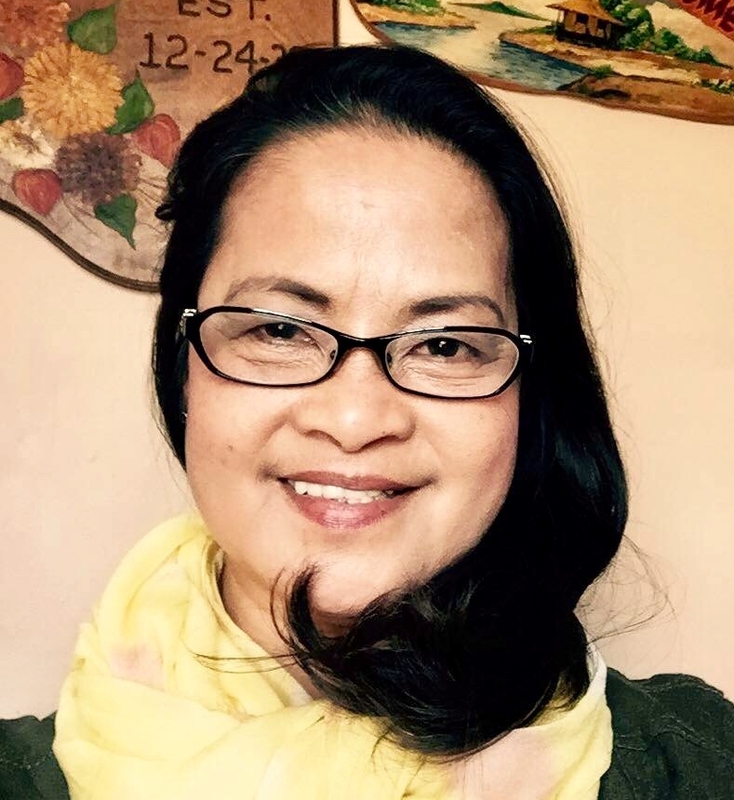 After graduating from Xavier University Philippines, she became a high school teacher and taught Biology, English and Algebra in her little village of Bobontugan to give back to her community where she grew up. Before long, she met her husband Steve and moved to America to be with him. She landed in Fort Wayne, Indiana and worked for a renowned quilted handbag company for 25 years as a Senior Designer. It was her dream job come true and she loved and enjoyed it so much. Recently, Elit took the opportunity to pursue the passion she had since when she was a little girl to design her own line of fashionable handbags and accessories. With 25 years of design experience working with wonderful talented people, she feels this new season is a great way to use her God-given talent to continue her mission and vision of helping other people in need. This is her American Dream come true. Anacleta Designs is based in the growing little town of Roanoke, Indiana. We have a small sewing lab with three 100-year-old industrial Singer sewing machines. This setup gives Elit the flexibility to design each piece to be unique and production-friendly. She enjoys talking to friends, getting their feedback and input and incorporating these ideas to the designs. Anacleta Designs utilizes local handbag manufacturer and home sewers in the production process. We are wholly dedicated to only "Made in America" products to bring jobs and support to our local community and its economy. Anacleta Designs invites you to join and support our community. We hope to grow and expand and add children's classic apparel in the future.